If you visit this lovely nature reserve in springtime it will probably not be the birds that strike you, but the wonderful displays of wildflowers: over 130 species have been recorded on the site, and it really is one of the prettiest nature reserves that I know. 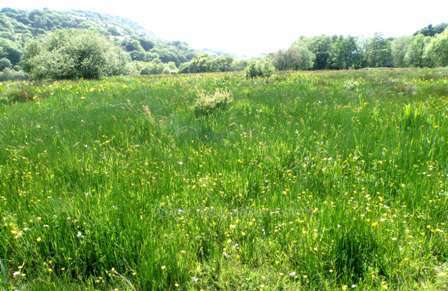 Arthog Bog is a remnant of a vast raised bog which once covered much of the River Mawddach estuary. Nearly all of the area has been drained and improved for agricultural purposes, and at one time peat was also cut from the bog. Both these activities reduce the 'dome' of raised bogs, and the result is an impoverished site which becomes inhospitable to the plants and creatures that rely on such habitats for their survival. The remnant of the bog at Arthog is a rare and precious habitat which is home to numerous special plants and other wildlife species. The reserve is managed by the RSPB. Take the A493 from Dolgellau towards Fairbourne. Between the villages of Arthog and Friog take the turn for Morfa Mawddach train station. Parking is available at the station. The main reserve entrance is on the road 100 metres before the car park. There is also an entrance from the A493 but there is no convenient parking close by. There are a number of nature trails throughout the reserve, but although level, the ground is rough and can be very wet during winter and so the reserve is not suitable for wheelchairs or prams. There are none at the reserve but there are shops, cafes and public toilets in Dolgellau. Many of the plants and creatures that inhabit raised bogs are rare because their habitat is rare. Typical Raised Bog plants can only grow (and new peat form) when acidic, nutrient-poor stagnant water lies at the peat surface for most of the year. Peat cutting and other forms of drainage cause loss of vital rain-water resulting in the rank growth of competing plants, requiring less water to thrive, at the expense of the bog species. At Arthog Bog RSPB are overcoming the problems of rank growth by allowing ponies to graze on the land at certain times of the year. From March onwards there are plenty of brightly coloured flowering plants at the reserve: in the boggy parts Marsh Marigolds (Caltha palustris) open their large deep yellow flowers, and they are soon followed by Bluebells (Hyacinthoides non-scripta) in the woodland section of the reserve. The pageant continues with Yellow Flag Iris (Iris pseudacorus), Ragged Robin (Lychnis flos-cuculi), Bogbean (Menyanthes trifoliata), and both Greater Spearwort (Ranunculus lingua) and Lesser Spearwort (Ranunculus flammula). Another speciality of boggy ground is also present, the deep red flowers of Marsh Cinquefoil (Comosum palustre) open in May and June. 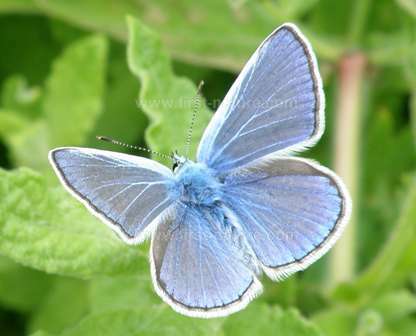 The wealth of flowers encourages many species of butterflies to visit Arthog Bog and you may see Common Blue (Polymmatus icarus), Speckled Wood (Parage aegeria), Red Admiral (Vanessa atlanta), Orange-tip (Anthocharis cardamines), Comma (Polygonia c-album), Peacock (Inachis io) and Small Copper (Lycaena phlaeas) among others. The reserve is also home to several Dragonfly and Damselfly species including Gold-ringed Dragonfly (Cordulegaster boltonii) and the Common Hawker (Aeshna juncea). Spring is the time to see and hear Cuckoos and other summer visitors such as Whitethroats (Sylvia communis), Sedge Warblers (Acrocephalus schoenobaenus), Willow Warblers (Phylloscopus trochilus), Grasshopper Warblers (Locustella naevia) and Reed Buntings (Emberiza scheoeniclus). Both the Great Spotted Woodpecker (Dendrocopos major) and the Lesser Spotted Woodpecker (Dendrocopos minor) visit this site from the nearby oak woodlands. Later in the year the seed-feeding birds turn up to feast on the gone-over thistles: Linnets (Carduelis cannabis) and Goldfinches (Carduelis carduelis) arrive in large flocks to enjoy the bounty, along with other autumn visitors such as the Redwing (Turdus iliacus) and Fieldfare (Turdus pilaris) which hunt for food on the ground. Even a winter visit can be rewarding and Water Rails (Rallus aquaticus) and Woodcocks (Scolopax rusticola) shelter in the reedbeds. This is also the time when Peregrines (Falco peregrinus) can be seen hunting over the reserve.